What better way to start the weekend than an hour of live blogging with 360°. As usual, we’ll open the blog at 10p ET and close at 11p ET. Anderson has the night off but Erica is in the house and Soledad O’Brien is in the anchor chair. 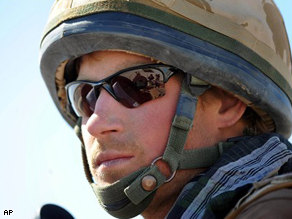 As for content we’ll start once again with Prince Harry. He’s heading home from Afghanistan and we’ll be sharing new pictures. There’s also plenty of politics in the show as well as a mini-special on immigration. That’s plenty to talk about so join the conversation at the top of the hour. Who are you calling liberal? The RNC likes to call Barack Obama the most liberal (or among the most liberal) member of the US Senate. This could provide more fodder. Sen. Obama declined an opportunity to co-sponor Sen. Russ Feingold’s latest bill – now before the Senate – to get troops out of Iraq. Senator Clinton is a co-sponsor. But an Obama aide explains the Illinois Senator isn’t co-sponsoring because the bill does not include a withdrawal date. It mandates troops must start drawing down within 120 days – but doesn’t include a timeline. That’s consistent with Obama’s stated position, and the bill isn’t going to pass. But here’s the catch: Moveon.org supports this bill. They’ve been phone banking and e-mailing their members telling them to urge their senator to vote for it. So Obama is to the left of Moveon.org on this issue. That might not be a problem for Obama in the primary. Could it become an issue in the general election? Watch Harry shoot a machine gun! I enjoyed Harry more when he was stumbling out of a bar, vomiting and assaulting paparazzi. At least then both he and the camera wielding parasites were the only ones who suffered the consequences of the prince’s self indulgence. His latest bit of self indulgence is just plain asinine. Sure, you can make the argument that going to the frontlines in Afghanistan is certainly brave and heroic. That’s if you’re not a prince. If you are, it’s just plain stupid and selfish. Why endanger your fellow soldiers? The media is just as guilty (including our own show). Media outlets made a deal that if they kept his deployment secret they would be rewarded with pool footage of Harry serving his country that they could use once he had left Afghanistan. Within minutes after the secret got out though, there it was. That’s Harry holding a rifle! Wow! Watch Harry shoot a machine gun! That’s Harry calling in an airstrike! Doesn’t Harry look so rugged and handsome with his sand-encrusted hair and snug fatigues? Such a brave and strapping man Princess Diana’s son has turned out to be. Don’t you think? And don’t think for a second that Harry isn’t in any real danger as all the correspondents so dutifully pointed out. He really is on the front lines. Our Michael Ware said so. But so are about 150,000 brave Americans who for the last several months have all but disappeared from the TV screens because viewers have grown tired of hearing about the war. The ratings always dip when we cover it. Never mind the countless families who sit home praying their loved ones will return home safely after serving year long tours of duty for the second or third time. Never mind the extreme financial hardship these families are suffering. Never mind the kids who joined the reserves just as a way to pay for college but instead were sent to the battlefield. Never mind the “other” war, the forgotten war in Afghanistan. Well, forgotten at least until the hunky Prince showed up. Hi! Here's the afternoon buzz on the latest headlines. Let us know what you think. A man who stayed in a Las Vegas hotel room where ricin was found is in critical condition at a hospital, where he has been since mid-February, said a Las Vegas Metropolitan Police Department official. Preliminary results of an investigation show that Tuesday's massive power outage in Florida was caused by human error, Florida Power and Light President Armando Olivera said Friday. Garry Mauro will never forget that night in 1972 when he says Bill Clinton and Hillary Rodham ignored the post-election party surrounding them, instead preferring to huddle in a corner and talk about changing the future. 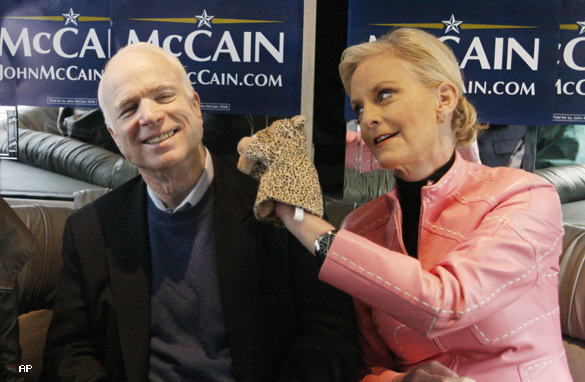 Sen. John McCain, the presumptive GOP presidential nominee, and the Democratic candidates are trading shots almost daily in what may be preview of the general election. Police are no longer investigating Amy Winehouse on suspicion of attempting to interfere with a court case involving her husband, her spokesman said Friday. Almost nothing Misha Defonseca wrote about herself or her horrific childhood during the Holocaust was true. For those of you putting your Ohio vacation plans together, the state's winter weather forecast is apparently perpetual snow. It has made our Dayton-Cleveland-Zanesville-Columbia-Marion-Mansfield-Cleveland trip rather adventurous. Reader Warning: Digression Ahead. Reroute lower down for immediate return to relevance. What kind of rental agency gives you a car with bad wipers and no wiper fluid in the middle of winter in Ohio, land of the semi-truck? Fortunately, I was raised in an all-male family so I knew instinctively to put washer fluid in the white plastic container marked, "POUR WASHER FLUID IN HERE." Unfortunately, then we couldn't figure out how to lower the hood. We pushed the rods holding it up, we pulled latches, punched buttons. Nothing worked. Fortunately, it was a truck stop so I asked a passing-by trucker if he could help. He walked over put his hand on the hood and pushed it down, thereby setting the women's movement back two decades. So Hillary Clinton's do or die moment... or not. At stake Tuesday by time zone moving East: Texas, Ohio, Vermont, Rhode Island. For brevity's sake, let's aside the latter two. The race turns on its head. She wins psychologically but mathmatically she is likely to still trail in pledged delegates. Remember those crazy Democratic Party rules (paging Dr. Dean). But she moves on to Pennsylvania (April) with the wind at her back. The best political analyst in the country, Bill Clinton, says she can't get the nomination if she loses texas and ohio. I have no earthly idea. I think she'll be under pressure to get out but if she stays, Pennsylvania (April) becomes a death match and it's possible we will still be counting delegates in Puerto Rico (June). Except Howard Dean keeps saying at some point, if neither can look down the road and see a way to win the nomination, the two will have to sit down and come to some accommodation to prevent a convention melee. I have this picture in my mind of the two of them doing Rock, Paper, Scissors for it. I will tell you a secret. Christmas decorations are still up in my house. And I'm worried I won't get them down until Puerto Rico. Or, alternatively, next Wednesday. When you spend time with the U.S. Border Patrol along the U.S.-Mexican border, it is unlikely to be boring. That was certainly the case for a visit we paid near the town of Laredo, Texas. No matter how you feel about the issue of illegal immigration, what we witnessed is a process that is truly broken. We were with the border patrol as they spotted three young men swimming across the Rio Grande from Nuevo Laredo, Mexico in an attempt to escape into the United States. We watched the men get captured and loaded into the paddy wagon. We watched them get booked into a detention facility. And within a matter of hours, they were escorted by a border patrol agent on foot; taken to a bridge across the international border, and when everyone arrived at the line separating the countries, the agent told the former captives goodbye and don't come back! In an effort to find out, we stayed with the would-be illegal immigrants on the Mexican side of the border as they discussed plans about what to do next. 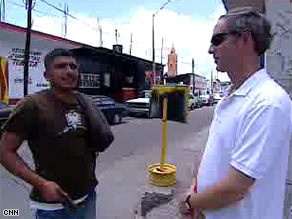 Their Mexican hometown is 17 hours away from Nuevo Laredo by bus and they discussed going back home for a while. But after some debate, they felt that maybe they would swim across the Rio Grande back to Texas on the VERY same day they were captured there. They kept going back and forth on what to do and we tried to be flies on the wall to see what was going through their heads. The way they ultimately handled it caught me very much by surprise. We'll have the story tonight at 10PM. They came for a better life, but a new law is driving them away, and it could put Arizona’s economy in jeopardy. I spent a few days in Phoenix talking to some illegal immigrants who say they are packing their bags because they can no longer find work. Arizona has the toughest immigration law in the country making it nearly impossible for undocumented workers to keep a job. The law took effect in January and targets businesses who knowingly hire illegal immigrants. If they get caught, the business can lose its license. So now nobody wants to hire these illegals anymore and they can’t earn enough money to stick around. Juan Leon told me he came to Arizona from Mexico about 10 years ago and is taking his family back next month. He has two daughters who were born in the U.S. but now have to be pulled out of school to start over in Mexico. Lots of parents are doing this. In fact, the Mexican consulate says they’ve had a rush on Mexican Birth Certificates. Already this year, more than 300 have been processed compared to just 63 in all of last year. 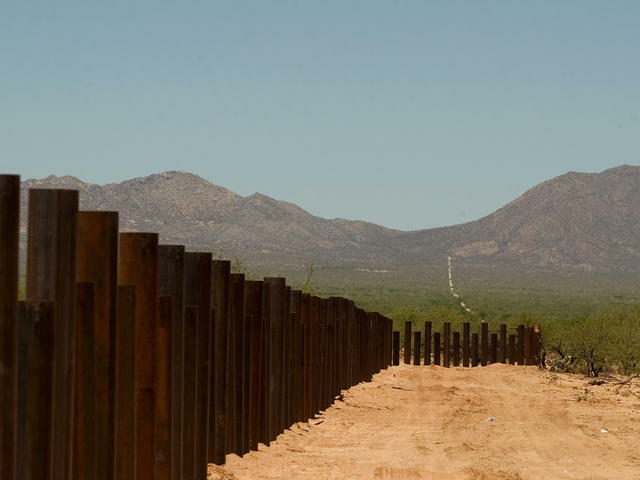 Dawn McLaren, a research economist at University of Arizona, told me if so many illegal immigrants leave Arizona will soon look like a ghost town. They are the men and women of the U.S. military currently in Afghanistan. Many are in combat and on the front lines. But as CNN’s Nic Robertson explained to Anderson last night, the front lines are practically everywhere in that war-torn nation. Media outlets around the world are transfixed on the Harry story. News organizations, including CNN, continue to report on his mission. It is a story worth telling. He is a public figure. A royal one. At the same time, this is also a good reality check. Harry may not want to go home. But he is. You can also be sure our heroes also want to return to the states, to see their children, their families, their friends. But they cannot. Not yet. We may not have a throne, but we are a country with princes and princesses, kings and queens. And they are serving our nation right now. It’s ironic that at this historical point in women’s political advancement, the governing powers of Sen. Hillary Clinton’s campaign - Mark Penn, Terry McAuliffe, Howard Wolfson and her husband - have managed to do the impossible. They’ve turned the first credible and well-funded run for the presidency by a woman into something that looks and feels exactly like everything Americans have come to detest. The strategy has resulted in Mrs. Clinton’s campaign becoming just another partisan attack dog. In focus group research, by the Center for the Advancement of Women, some women said they wouldn’t support Mrs. Clinton because they viewed her as calculating and manipulative for her personal political ambitions. Other women told us that they wouldn’t vote for a woman for president because she is a woman. If she didn’t put forth an agenda that would make life better for women, her candidacy would be judged as any other. It’s hard to understand why Mrs. Clinton has allowed her campaign generals to squander the opportunity to mobilize women by focusing on everyday issues that we care about, instead of resorting to complaining, ridiculing and attacking her primary opponent. They’ve given women, who should have been a solid supporting constituency but never were, good reasons to close the gender gap by finding inspiration on Sen. Barack Obama’s vague promises of unity and change. Women would expect Mrs. Clinton, the first woman to make it this far in the presidential race, to know better. From her personal journey, she could and should address women in a way that reflects a visceral understanding of the continuing struggle for equality and fair treatment and how her presidency will truly make a difference for women. She still can turn her campaign toward addressing inequality and oppression. Lilly Ledbetter could become her campaign’s symbolic poster girl for the need for change to achieve true equality for women. Connecting to women is connecting with America. At this point, she has nothing to lose. If the men behind the woman understood this reality for their candidate she certainly hasn’t reflected it. I simply can’t believe that she doesn’t know better. It’s not too late: the delegate spread between Mrs. Clinton and Mr. Obama is slim, two delegate-rich primaries lay ahead, and the undecided super delegates could still give her their vote. Even if her dream is denied, the power of her delegate base can force Mr. Obama to make concrete commitments to improve the lives of American women during his presidency.